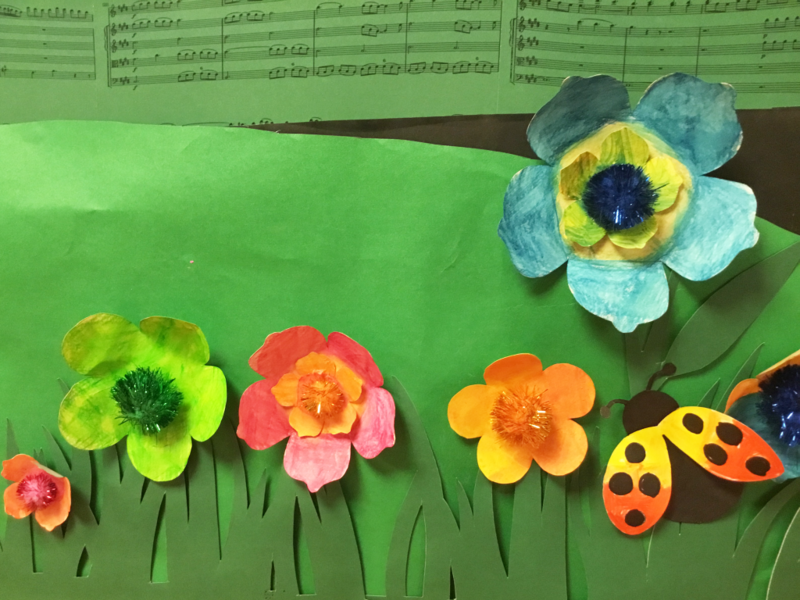 Lots of students collaborated on our Spring collage. It depicts Persephone, daughter of Demeter and Zeus, the beautiful goddess of spring and Khione, the Greek goddess of snow, daughter of Boreas, god of the North Wind and Winter. 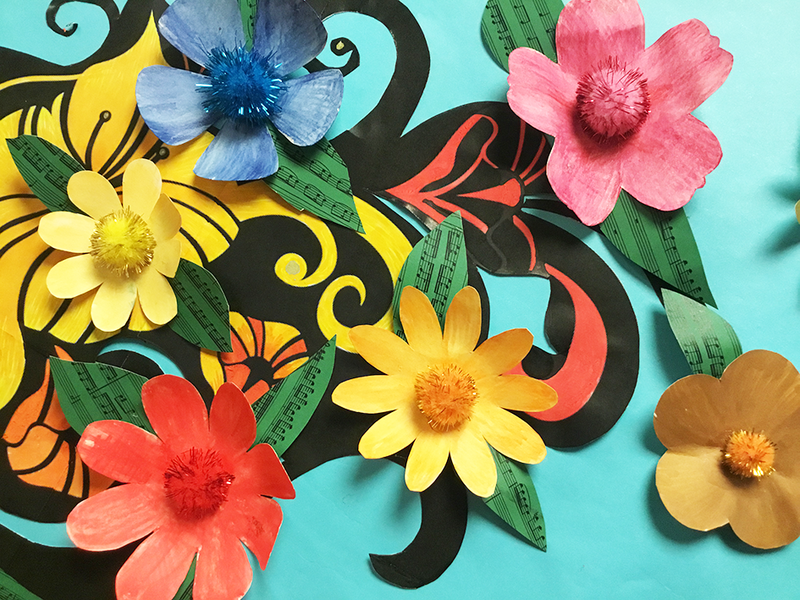 Vivaldi’s music Spring from The Four Seasons was used to create texture and the students explored manipulating paper to create 3D elements. The piece will become populated with more flora and fauna as we move from spring to summer. Stay tuned!